Starbucks offers free, one-click, unlimited Wi-Fi at all company-owned stores in Canada. There’s no purchase or subscription required, no password needed and no time limit on your session. Just open a browser on your laptop or mobile device and click Connect. We want to provide you with a great digital experience to go with your great cup of coffee. We hope you’ll visit us soon! Use our Store Locator to find the Starbucks with Wi-Fi nearest you. 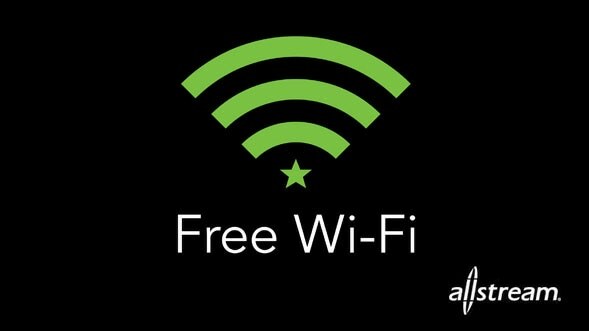 Bring your WiFi-enabled laptop (802.11) to the store and open your browser to log on. Call Allstream Customer Service at 1-866-385-2555.